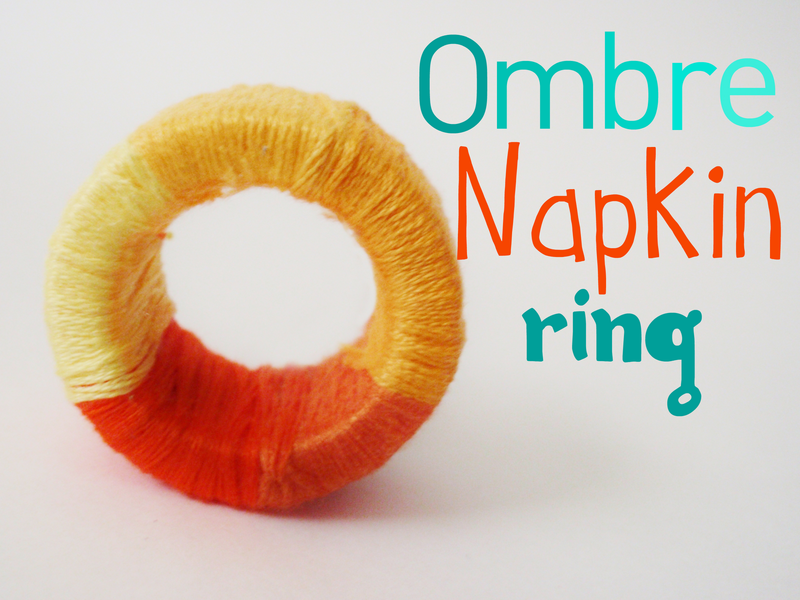 This project costs practically nothing, since the actually napkin ring is made from your trash. More specifically, the plastic tape roll inside the tape dispenser! 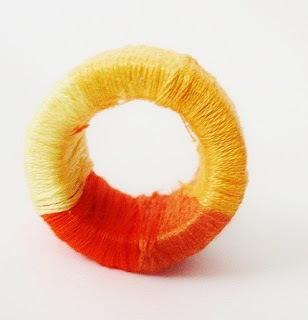 This is a great ombre project! In case you aren't familiar with the definiton of ombre, you can find it right here. When you switch to a new color, you can either tie off the first color you're using, or (like I did) just wrap the next color over the [first] end of the strand. To tie off, simply knot or glue (I kind of did both!) whatever bits are sticking out. You're done!